Posted on January 30, 2019 | 1340 views | Topic : News & Articles, Property News. 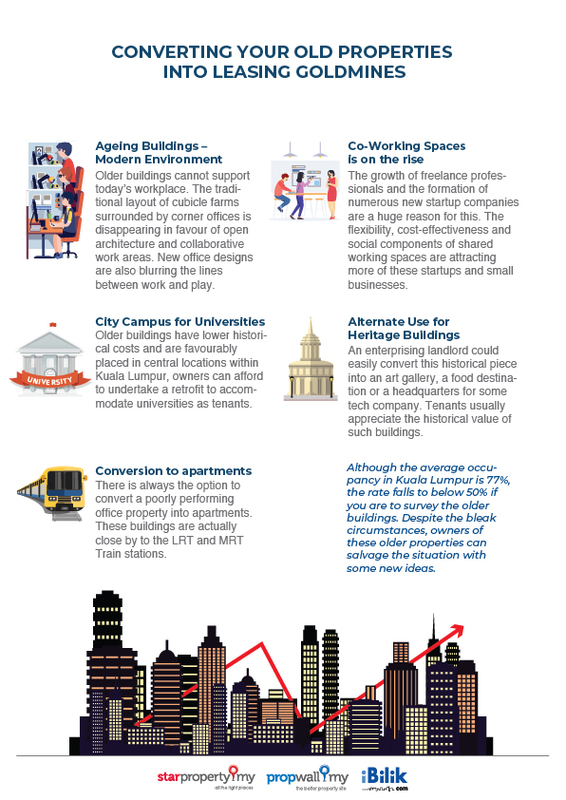 The average occupancy in Kuala Lumpur is reported at 77%, but if you are to survey the older buildings, the rate falls to below 50%. Despite the bleak circumstances, owners of these old properties can salvage the situation with some new ideas.